Whether you´re simply passing through Barcelona in December or planning a more extended stay, we´ve compiled a list of unmissable events to mark the festive season. Keep reading, there are several things to do in Barcelona at Christmas. 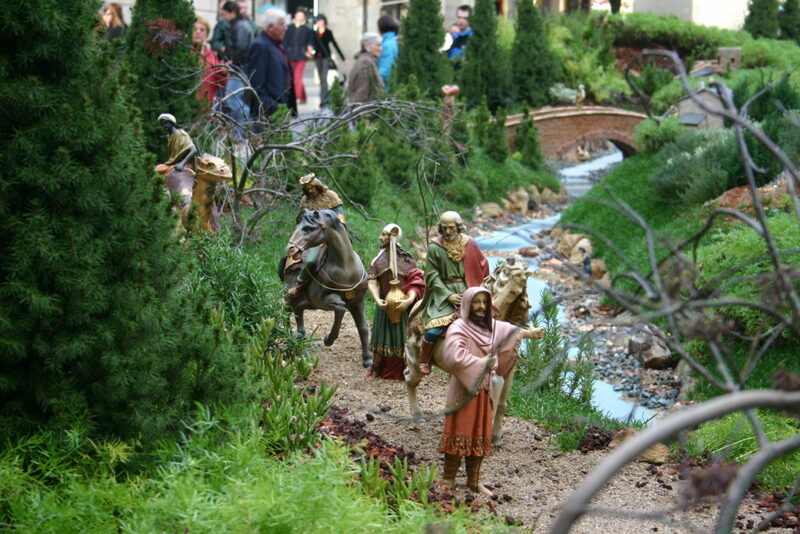 Every December Plaça de Sant Jaume comes alive with a giant nativity scene (Pessebre). 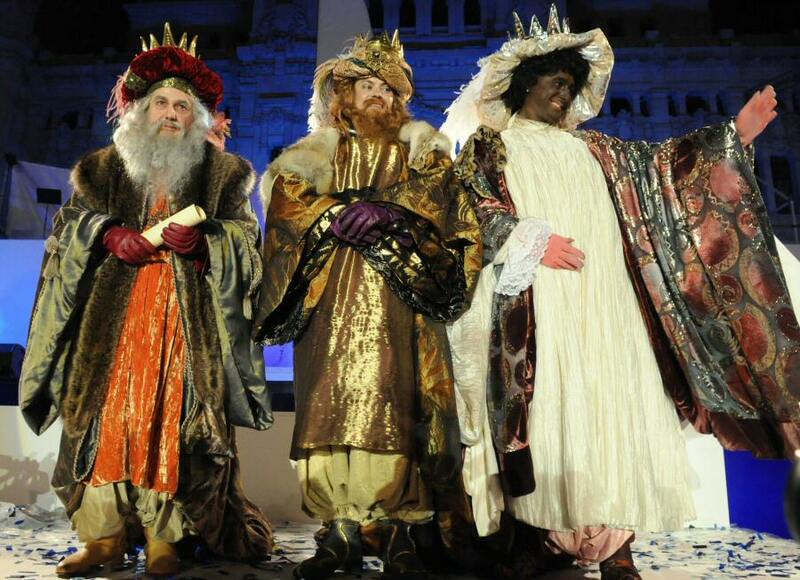 Whilst all the traditional characters are represented (as well as Catalunya´s traditional Caganer or pooing man), they appear in different guises with the exception of the three kings. The nativity scene takes on a different theme each year and this year sees a more modern twist to the traditional setting with nine giant globes. The Christmas market on Avinguda de la Cathedral, known locally as the Fira de Santa Llúcia, is another Barcelona must see at Christmas. It runs from 25th November until 23rd December, and, located in the heart of the Gothic quarter, offers the perfect setting to soak up the festive atmosphere. Here you can get your hands on some Catalan souvenirs such as él caganer (pooing man to go in the Nativity scene) or El Tió de Nadal (present-pooing log). 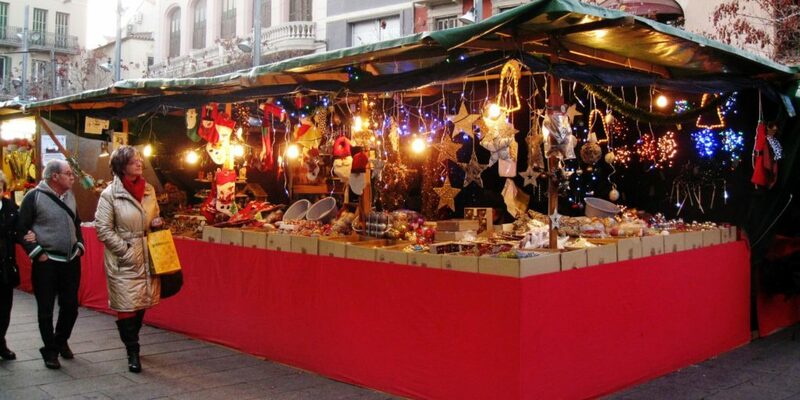 However, if you prefer to pick up your Christmas gifts in a more intimate setting, make your way to smaller markets such as the Sagrada Familia market, The Three Kings Fair on Gran Via or the neighbourhood markets of Sants and Pedrables. 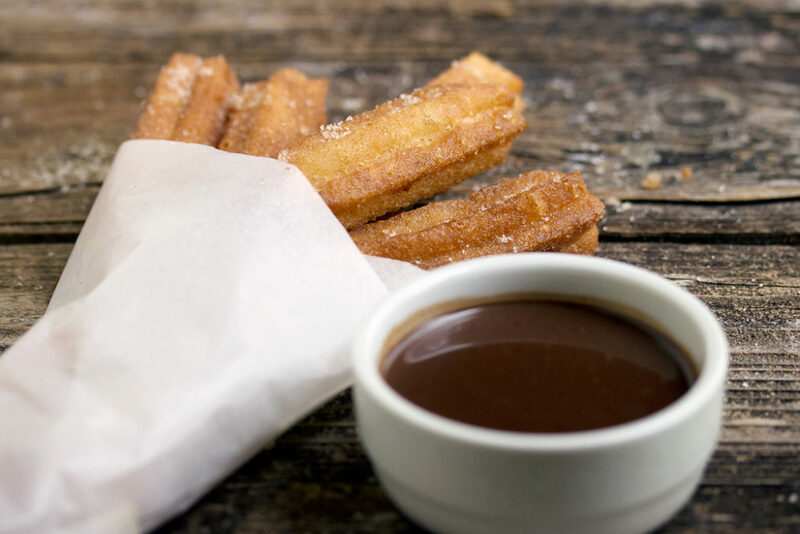 When thinking about chocolate with churros, it´s impossible not to think about the sweetest street in the city, Carrer de Petritxol, next to Plaça del Pi in the Gothic quarter. There you will find the best chocolatiers in the city such as La Dulcinea and La Pallaresa. The Kings Parade (La Cavalgada de Reis) is a procession where the three kings arrive in Barcelona on their impressive floats with their royal pages. They parade around the whole city handing out thousands of sweets from 18:00-21:00 before continuing their night´s work of delivering presents to children across the world. On this day, children go to bed early in the hope of waking up to find the presents they had asked for in a letter to the kings. According to tradition, children who have behaved badly during the year will receive coal. For a more relaxed way to get into the Christmas spirit, head to Palau de Musica, Liceu Opera House and Cathedral de Santa Maria del Mar for a variety of Christmas concerts. For those visitors with younger children, Poble Espanyol is packed with family-friendly events throughout December. So, be sure not to miss out on these Barcelona must see Christmas events, there are loads of things to do in Barcelona at Christmas, and remember, we have several apartments in Barcelona that will make your holidays unforgettable, take a look!